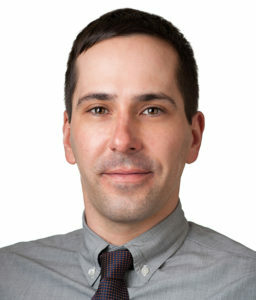 Jeffrey Savas, PhD, assistant professor of Neurology in the Division of Behavioral Neurology, was a co-author of the study published in Science. A team of scientists has discovered the physiological function of APP, a protein long known to play a role in Alzheimer’s Disease but whose normal function had remained elusive. The findings, published in the journal Science, deepen understanding of Alzheimer’s pathology, as well as provide a potential novel therapeutic target for a number of neurological diseases. Jeffrey Savas, PhD, assistant professor of Neurology in the Division of Behavioral Neurology, was a co-author of the study. For more than 30 years, the amyloid precursor protein (APP) has been recognized as a major player in Alzheimer’s disease. When APP is broken down, it forms amyloid beta peptides, whose abnormal accumulation in the brain is a hallmark of the disease. However, little has been known about the normal function of APP before it is processed. In the current study, an international team of scientists used “Ecto-Fc MS” — a discovery-based biochemical approach developed by Savas — to search for synaptic receptors of APP. They discovered that APP binds to a neurotransmitter receptor called GABABR1a, and that in doing so, modulates synaptic transmission and plasticity. Beyond an important advancement in the understanding of APP and Alzheimer’s, the findings may also have therapeutic implications in a wide range of neurological disorders in which GABAB signaling is implicated, including epilepsy, depression and schizophrenia. “Our discovery suggests that short APP peptides might be effective for modulating GABAB receptor function and modulating GABAB signaling in hopes of ameliorating these neurological disorders,” Savas said. The study, which was led by scientists in Belgium, was supported by an Alzheimer’s Association Research Fellowship (AARF-16-442885); Stichting Voor Alzheimer Onderzoek Pilot Grant (16011), Agency for Innovation by Science and Technology in Flanders (IWT 141698); National Science Foundation BRAIN EAGER MCB-1450895 and IOS-1755189; Robert Wood Johnson Foundation grant no. 74260 to the Child Health Institute of New Jersey; RO1AG061787; VUB onderzoeksfonds (SRP13); European Research Council (ERC 724866); FWO Project Grant G.0946.16N; Vlaams Initiatief voor Netwerken voor Dementie Onderzoek (VIND, Strategic Basic Research Grant 135043); FWO Project Grant G.0D98.17N; KU Leuven Methusalem Grant; ERC Starting Grant (311083); FWO Odysseus Grant; and FWO Project Grant G.0654.15N.